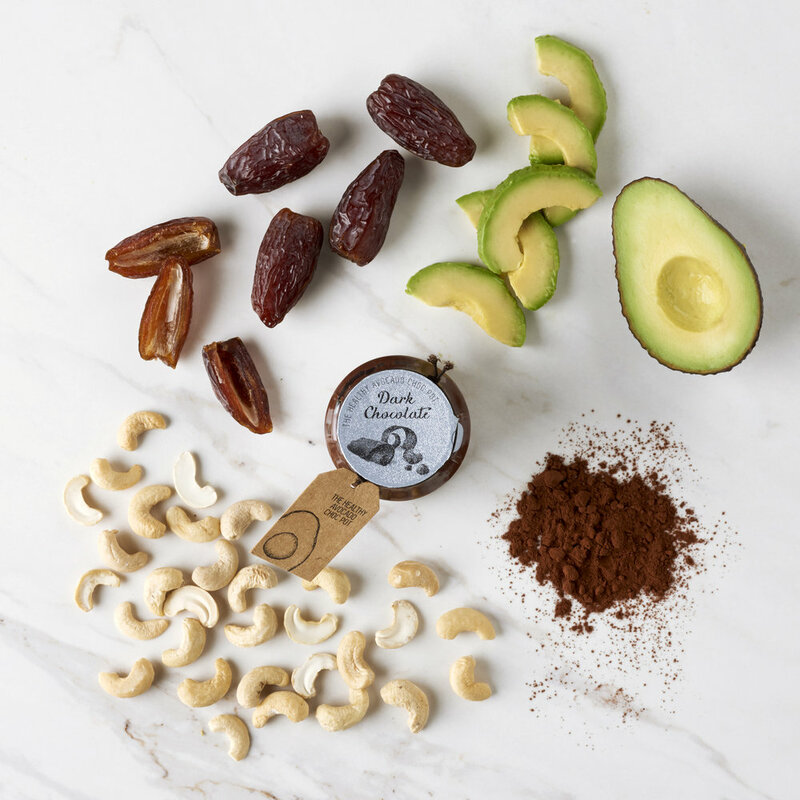 Made from just avocados, dates, cashew nuts, cocoa, water and natural flavourings. We only add whole natural ingredients. No added sugar, no additives & no nasties. They are rich, textured and filling. They were designed as a snack pot so feel free to gobble the whole pot or alternatively dollop into porridge, slather on rice cakes, toast or pancakes, or serve with fruit. WANT MORE INFO ON THE RECIPE & INGREDIENTS? Our Avocado Choc Pots indulge the sweet spot while offering nothing but natural goodness. They are made from 40% fruit, and they are a fantastic source of gut friendly fibre. Better still, each pot is less than 250kcal and contains nothing but nutritionally-rich calories. FOR MORE NUTRITIONAL INFORMATION CLICK HERE..
We have lots of exciting new product releases coming soon so click subscribe below to stay in the loop.